At first, just try to understand idioms and notice them when other people use them. 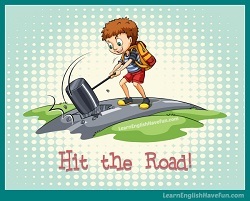 You can speak English at a very high level without using a lot of idioms yourself. When you feel more comfortable that you truly understand some of these idioms you can use them in your own speech and writing. You can still speak English at a very high level without using a lot of idioms because can express the same meaning with other words. 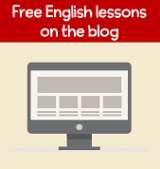 However, you absolutely have to understand idioms to reach an advanced English level. 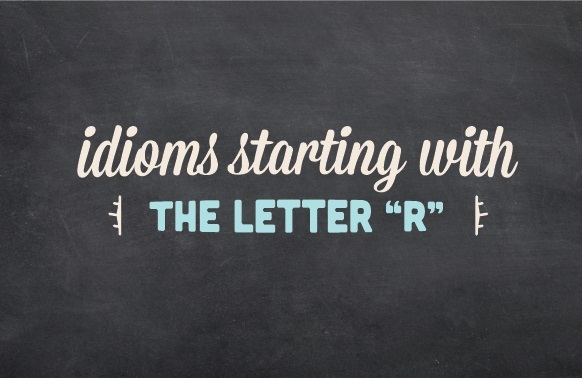 You'll notice this list has expressions beginning with the letter "R." The main word in the idiom starts with this an R. There are also pages of idiomatic expressions with other letters of the alphabet: click here to go to the main idioms page. rack up something: 1) to accumulate a lot of something; 2) to score a lot of points. I racked up a lot of frequent flyer miles traveling to Asia for business. Be careful. it’s easy to rack up a lot of credit card debt on small daily purchases. on someone’s radar: in someone’s awareness so they can consider it. I’d love to ask Cindy out for a date but I’m not even on her radar. Someone please tell me how I can get this topic on management’s radar — it’s really important. all the rage: popular or in style. Do you remember when bell bottoms and platform shoes were all the rage? Watch this YouTube channel if you want to find out what fashions are all the rage in Paris. go off the rails: to be ruined by poor management. Everything went off the rails when the owner’s son took over the company. Sandra's wedding plans will go off the rails if someone doesn't intervene and help her. It’s been raining cats and dogs for two days and now there some flooding in the coastal areas. I love staying at home drinking tea when it rains cats and dogs outside. When it's raining cats and dogs an umbrella really doesn't help much. chasing rainbows: trying to accomplish something that isn’t practical. My wife is chasing rainbows again with her idea to knit dog collars. Everyone says I'm chasing rainbows but one day one of my business ideas is going to make millions of dollars. rake in something (rake something in): to obtain a large amount of something that’s valuable. She’s been raking in new clients now that she’s advertising on the radio. I was raking in the money when the real estate market with strong. ramp up something: to increase the volume or amount of something. We need to ramp up security after someone broke into our neighbor’s home. If this is a party then why can’t we ramp up the music? bet the ranch: to risk everything you have to try to obtain something. I’m pretty certain our team will win but I wouldn’t bet the ranch. I’d bet the ranch her daughter could be a fashion model with her unique look. pull rank: to use the power of your job or position to get what you want. My business partner pulled rank and took the invitation to go to the Gala. Your boss tried to pull rank and take the pen I got you but I was careful to have your name engraved on it. join the ranks of something: to become part of a group. In June I’ll join the ranks of college graduates with huge student loan debt. I hope to join the ranks of lawyers or doctors someday. a king’s ransom: a large amount of money. It would take a king’s ransom to purchase a mansion like that. Don’t laugh — she makes a king’s ransom selling clothing for dogs. beat the rap: to avoid punishment. The victim couldn’t identify the burglar so unfortunately he was able to beat the rap. My sister tried to beat the rap by blaming the dog for the mess on the floor. take the rap for something: to be blamed or punished for something you didn’t do. I take the rap for a lot of things because I’m the oldest child. My friend is so cool! He took the rap for cheating on the test but didn't tell the teacher that everyone else did the same thing. smell a rat: to have a feeling something is wrong. I’ve got five kids so I smell a rat whenever it gets really quiet at my house. I smelled a rat when my girlfriend said her ex-boyfriend was just calling to say hello. rattle off something (rattle something off): to quickly say something. I love how my boyfriend can rattle off all the scores and stats for countless Super Bowl championships but can’t remember the date we met. I can rattle off phone numbers from 20 years ago but I don’t know any of my current friends’ numbers because they’re all programmed into my phone and I autodial them. a raw deal: unfair treatment. I got a raw deal with my desk and computer because I started a week later than the rest of the team. Did you get a raw deal or did you just except the first offer without negotiating a higher salary? a ray of sunshine: a sign of hope. The inquiry from a potential client offered a ray of sunshine for my new business. My tax refund gave me a ray of sunshine for eliminating some of my credit card debt. catch some rays (catch a few rays): to sunbathe, to lie outside in the sun. Wow, it looks like you caught some rays at the beach this weekend. I’m going to just relax this weekend and catch a few rays. reach out (to someone): to try to communicate with or offer help to someone. After my mother died, a lot of friends and colleagues reached out to send kind messages and stopped by to see me. You need to reach out to more voters if you want to win this election. within reach: something that is possible to do or have. It will be a challenge but I think running a marathon is within reach if you slowly add mileage during the year and don’t get injured. I earned a $50,000 bonus last year and think $100,000 is within reach for next year. read something into something: to insert your own meaning into something instead of what was intended. If your boyfriend said he’s tired and doesn’t want to go out tonight, why do automatically read more into it? Please do not read something else into this performance review. We were very pleased overall but would like to see improvement in this particular area. read up on something: to read information to learn more about something. I was reading up on nutrition and supplements and I’m going to drink a lot more herbal teas in the future. You should read up on that car, especially some Consumer Reports, before you decide whether to buy it. read between the lines: to discover hidden meaning in something someone says or writes. I meant exactly what I said. Why do you always try to read between the lines? If you read between the lines you'll see she wants you to spend more time with the kids. read something (from) cover to cover: to read something from beginning to end. I didn’t get any sleep last night because I was reading the last Harry Potter novel from cover to cover. Few people sit down and read the Bible from cover to cover. read the fine print: the important information (and often legal information). Does anyone really read the fine print when they load software onto their computer? If you read all the fine print you’d never take any pharmaceutical medications. I’d hoped to finish my paper today but in reality I haven’t even started. Whatever thoughts you choose to think will determine how you feel in reality. reap what you sow: what you experience is a result of your actions. What you expect when you eat lots of sweetened fattening foods? You reap what you sow. If you want to improve your grades just remember you reap what you sow. I learned that it’s not how many hours I work but what work I actually complete — you reap exactly what you sow. bring up the rear: to be at the back of a group of people going somewhere. Whenever we go for a run I’m always the one bringing up the rear. To make sure none of the kids get lost, I’ll stay behind and bring up the rear. rear its ugly head: to become a problem that needs to be resolved. The mold in the bathroom shower is starting to rear its ugly head again. Can you make an announcement at the staff meeting about getting to work on time? Staff tardiness is starting to rear its ugly head. on the rebound: 1) becoming stronger or better; 2) recovering from the ending of a romantic relationship. I’m definitely on the rebound since I got the cast off my leg. You should never date anyone seriously when you’re on the rebound from a long-term relationship. for the record: something that is said publicly and officially. Just for the record, I never intentionally took marijuana — someone had cooked it into the brownies and none of us knew about it. The senator wanted to make a statement for the record so his views would not be taken out of context. off the record: not meant to be known publicly or officially. I can only speak off the record because there’s a confidentiality clause in my contract. Off the record, we’re launching a major new product in June. on the record: to make something be known officially and publicly. We would like to hear you make that promise on the record. The politician called the news conference to go on the record about his relationship with his assistant. set the record straight: to tell the true facts that haven’t yet been reported. There have been so many rumors I’m really glad you finally set the record straight. To set the record straight, it’s not that you’re overweight — he’s just not interested in you because he’s gay. in the red: to be in debt. After two straight quarters of profits the company went in the red in the third quarter and investors started to get nervous. I never buy on credit because I don’t like being in the red. see red: to be very angry. My mom saw red when she came home and noticed we’d eaten some cake. Uh-oh. That look means my dad’s seeing red about something. paint the town red: to go out and have a wild celebration (usually drinking a lot of alcohol). We went out on New Year’s Eve and I guess I painted the town red because I can’t remember anything. We’re going to paint the town red tonight — want to join us? roll out the red carpet: to give a special welcome to someone. (Like the red carpet at special events: e.g., movie premieres, award ceremonies, galas). Whenever my parents come to visit, my sweet wife really rolls out the red carpet and they love it. Let’s schedule a planning meeting — we need to roll out the red carpet for the speakers at this conference. to give the red carpet treatment: to treat someone with special care and attention. We like to stay at the Four Seasons hotel because they give all their guests the red carpet treatment. Thanks for a wonderful weekend and all the red carpet treatment you gave us. reel in someone/something (reel someone/something in): to attract or pull someone/something closer towards someone. The coach reeled in all the players from the field for a brief talk about the next play. We need to reel in some new customers from the surrounding cities in order to increase profits. 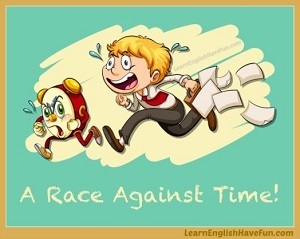 reel off something (reel something off): to say or do things very quickly one after another. She reeled the figures off so quickly everyone knew she’d prepared well for the presentation. I used to be able to reel off all the names of the presidents and vice presidents but now I can only remember a few of them. reflect on something: to carefully think about something. Perhaps you should stop and reflect on everything you did the past semester before blaming your “awful” professor for your terrible grade. Whenever I board an airplane I get nervous and reflect on how precious life is. in regard to something: in relation to something; in consideration of something. In regard to this summer, we haven’t made any plans yet but we'll be going to Paris for Christmas. Your work performance is very good but in regard to your relationship with the rest of the team, we’re very concerned. I’m calling in regard to my appointment with Dr. Jones on April 20.
give someone / something free rein (have free rein): allow someone / something complete freedom in action or expression. Do you really think you should give free rein to your five-year-old in the kitchen? His dogs have free rein at the house so there’s dog hair everywhere. keep a tight rein on someone / something: to restrict or control someone or something. We’ve got to keep a tight rein on travel expenditures during the next year so we'll either travel less or fly coach class. Until your grades improve, were going to keep tight rein on your phone and computer use. rein in someone / something (rein someone / something in): to restrain or control someone or something. After I switched jobs I had to rein in my spending on clothes and eating out. We had to rein in our children’s’ telephone usage after we discovered how many hours they were talking to friends late at night. take over the reins: to take over control of something. Office morale improved drastically after the new director took over the reins. I hope the economy will improve when the next president takes over the reins. rest assured: to feel sure or certain that something is going to happen. (The phrase is often used to tell someone else not to worry about something). Sir, even though we left 20 minutes late, you can rest assured that the plane is going to land on time. I always set the alarm on my clock and on my phone when I have a test so I can rest assured I'll wake up on time. Mr. Right: the man who is the right (perfect / best) person to marry. It's been 35 years and I'm still looking for Mr. Right. In the meantime, I've met plenty of Mr. Wrongs. Look, if he hit you once he's not Mr. Right and you can be sure that he will hit you again! on the rocks: when a relationship is having problems (especially a romantic relationship). My girlfriend and I were already on the rocks when I met Janie. Otherwise, I don't think I would have even noticed her. Our marriage is on the rocks again but my husband refuses to go to marriage counseling. Have you signed-up for my free newsletter? You'll learn lots of new vocabulary and idioms each month. 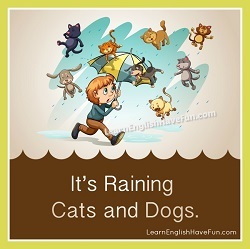 Let's check your understanding of these R idioms by using them in a few practice sentences. Although I said you don't need to use them in your own speech, you do need to use them in practice! This will help check that you understand the meaning and help you remember them better. I'll fix any mistakes you might make. Simply choose a couple of R idioms from the list and create your own sentences in the comments box below.